Two hour pub crawl through the Deep Ellum bar and entertainment district. Pedal the party bike steered by our pilot to three of Deep Ellum's best bars! Looking for a deal?! Check out our earlier time slots during the week or get our best deal or Sunday Funday! 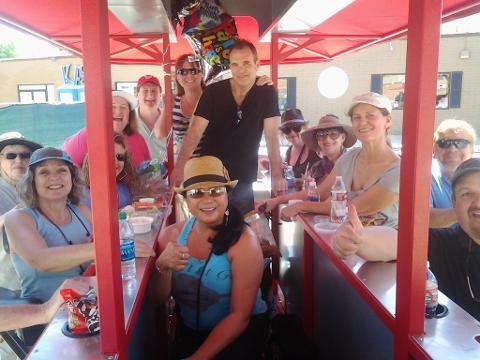 Book from one to fifteen seats on our pub crawl extravaganza, where your certified party bike pilot will take you and your merry band of imbibing companions to three of Deep Ellum's best bar stops! Deep Ellum has seen a major revitalization in the last few years, with many new incredible bars and restaurants building around our old favorites. The day and night life here is skyrocketing! With a premium sound system and LED party lights, the 4-wheeled, 15-passenger party bike is like a pedal-powered party bus — you can bring your favorite beer and wine on board! Bring your friends and meet some new ones along the way. 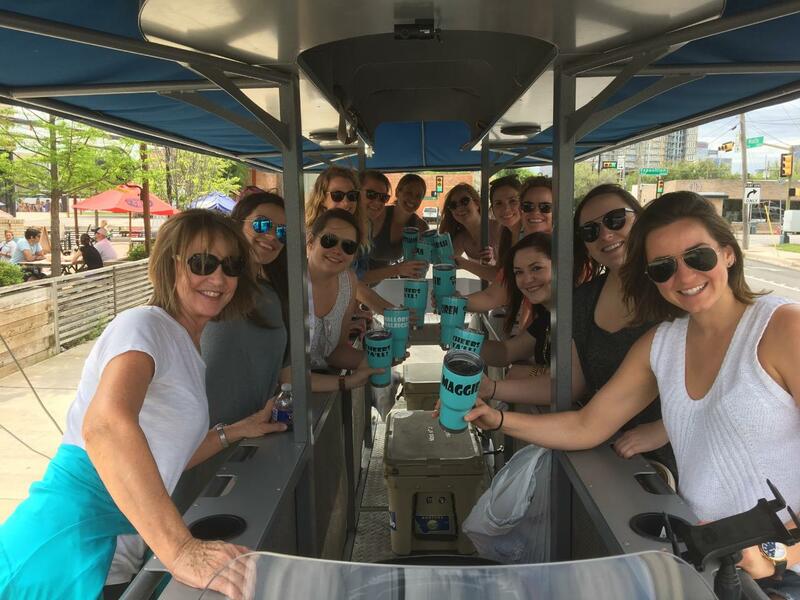 This Dallas pub crawl is definitely not recommended for people who hate fun! 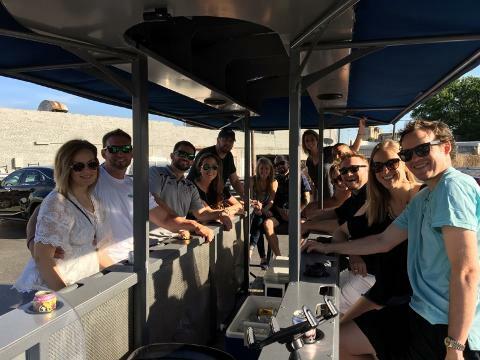 Close in proximity to downtown, the Deep Ellum Pub Crawl is perfect for any day or night out with friends, birthdays, tourists visiting Dallas, and small groups that can’t fill a whole bike! Have more than 15 people and need more than one bike? 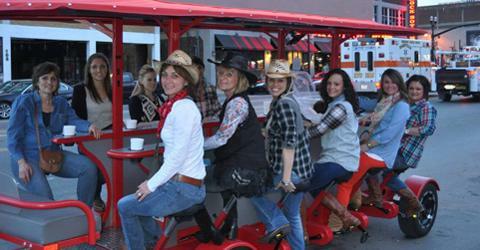 We have five buzz bikes available and can accommodate up to 75 people at one time! Give us a call at 214-414-3891 and ask about our 10% multi-bike discount. This is a great option for company teambuilders and conference groups! Please feel free to email or call us at (214) 414-3891 if you have any questions!